All of this in a matter of 24 hours. Although, this work is a tremendous feat in such a short amount of time it does not hold a candle to what Jared Landaker (JROD) and the other 6 heroes did. They paid the ultimate sacrifice by giving their lives while protecting our freedom. About 3-4 months ago I was invited by CrossFit HQ to host a charity event that virtually the entire community was getting involved with. I’m all for a good cause, but I feel that the when CrossFit HQ gets the community hyped about a charity event that almost instantaneously it is successful. 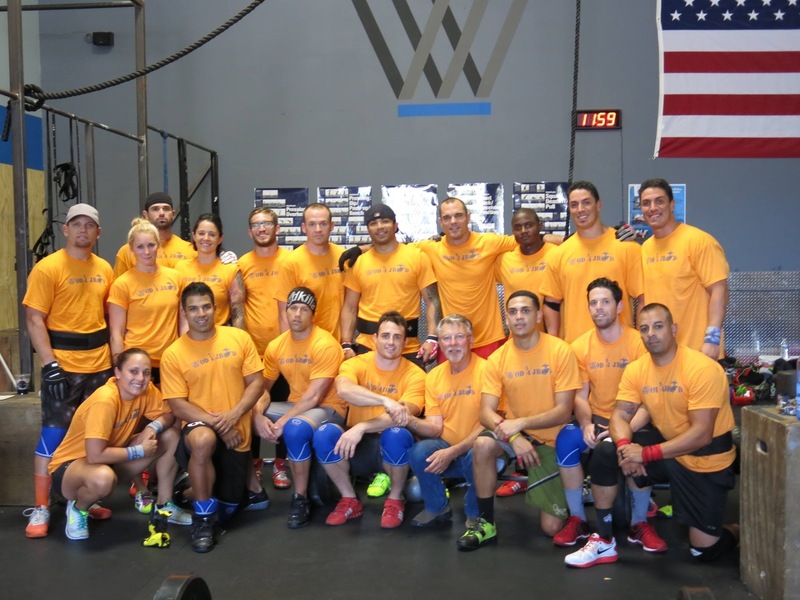 For instance, last weekend CrossFit HQ raised over $130,000 for the families of the “Hotshots 19”. This is all good stuff, right? Yes. However, I had an idea that we could still host a charity event, still help raise money, all for a good cause, but to do it for something that it would make a larger impact for. This is when I recall our members, Brandon Becerra, Calvin Becerra, and, Nate Chabolla being college friends with a true American hero. So, I asked Brandon after his workout one day about his old friend, Jared Landaker. I asked him if Jared had a foundation and if it was possible for us to help the foundation out in any way. 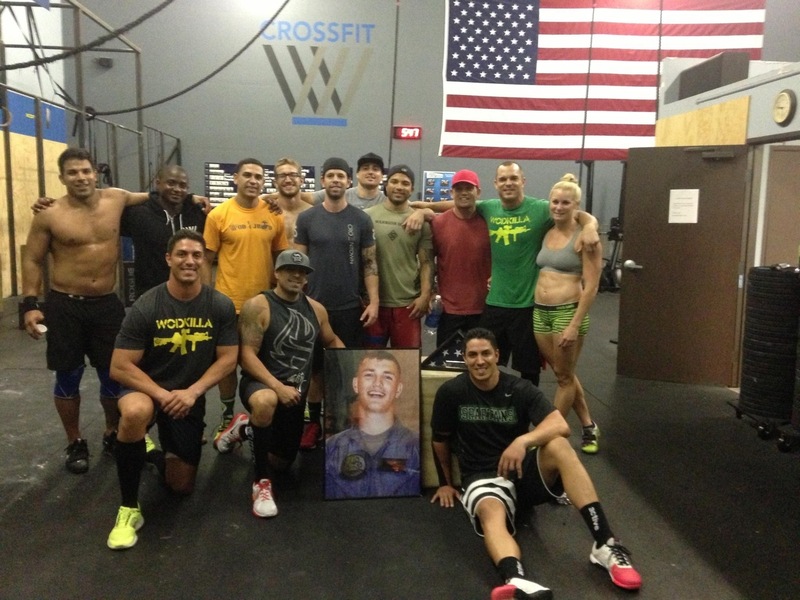 From that day forward, Brandon, my wife and I worked closely together to create the inaugural WOD 4 JROD event. This was the first of an annual in house charity event that CrossFit CrownTown would host to benefit JROD and The Seven Stars Foundation. Thank you for your help Brandon Becerra and Bri Willette! It worked! We raised $3,112.20. Along the way another gym from New York, CrossFit Hells Kitchen, got wind of our event. It turns out that one of JROD’s other college friends follows our site, since she knows her friends are members of CrownTown. She saw our original post and then approached the owner of her affiliate with the idea of doing the same thing we were. He was all for it. Fortunately, they were able to raise an additional $2,000 for The Seven Stars Foundation. In totality, we raised over $5,000 for The Seven Stars Foundation. I later received an email from Laurie Landaker (JROD’s mother) expressing her gratitude and also letting me know that with all the money raised they are going to be able to send 12 military children to summer camp in 2014. 18 brave participants just before the first workout at 6am on Saturday morning. It was a long, emotional and mentally challenging day to say the least. Dehydration, cramping, nausea, sweating, bleeding, tears, you name it, we experienced it. 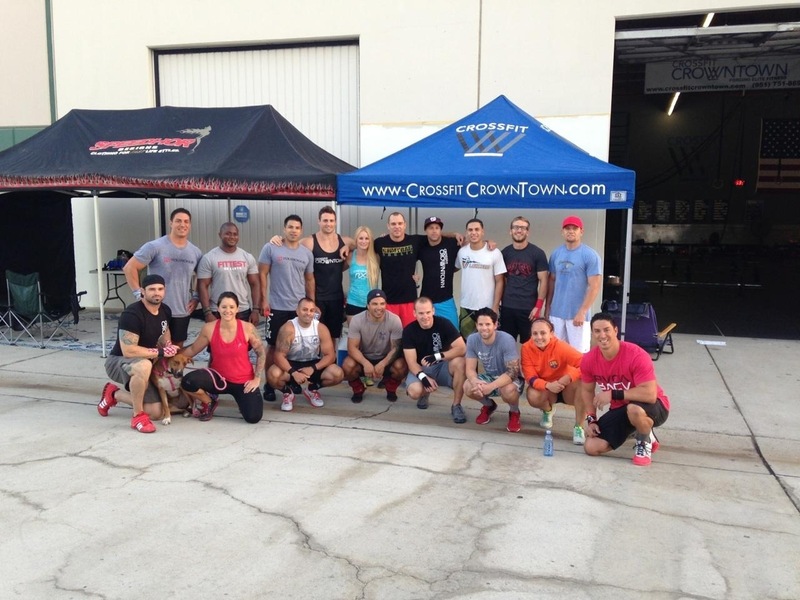 We started at 6am on Saturday morning with a classic CrossFit workout, “Fran”. After that, every hour on the hour we started a new workout and repeated that for 24 hours straight. Shortly before the 7th hour, which we would start the seventh workout in honor of The Seven Stars Foundation, which was part of the 24 workouts on August 24th, JROD’s father who is a member of the board for the foundation, stopped by to show his gratitude. He led a candle lighting ceremony where he would say the name of each of the seven heroes and give their ranking followed by lighting a candle that represented that particular hero. After he lit the seventh candle, which represented his son JROD, he said that from the bottom of his heart words could not express how thankful he was for us to be honoring his son and the other heroes like we were. He thanked us several times again. We all applauded him with our watery eyes, feeling the chills as at that exact moment I realized it had all come to fruition. What was an idea a few months ago, we now had a real life American hero’s father there thanking us for our contribution and about to watch us in the most grueling workout of the 24 hours. 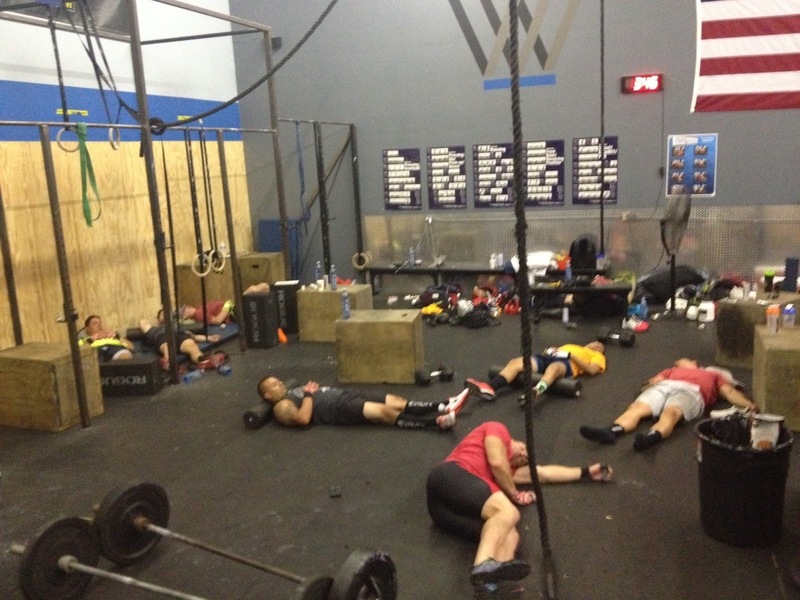 The National Anthem played and then we started “WOD 4 JROD”. This was right before the 23rd workout. We thought it was a good idea to get a little nap in before the last two. Turns out we were wrong. Way wrong. Getting our bodies to wake up, warm up and perform again for two more challenging workouts was by far the most difficult moment of the day. It literally took us ten minutes to get our legs to jump off the ground. Not to mention we had to do 150 double unders right after. Last but not least, on behalf of all the participants, CrossFit CrownTown and myself, we wanted to thank all of our sponsors. Oh My Bar, Kill Cliff, Jersey Mike’s (Norco location), Aqua Hydrate, C2O, JC Knight Demolition, JRM Engineering & Design, Stronger Faster Healthier, Jamie Morabito and CrossFit CrownTown. Also, thank you very much to all of the community members/family/friends who donated food, drinks, support, help cleaning up, stopped by several times throughout the day and night. Even some at 3am and stayed to watch us finish. You guys know who you are. We all appreciate you very much! Until next year, stay fit!